I did it. 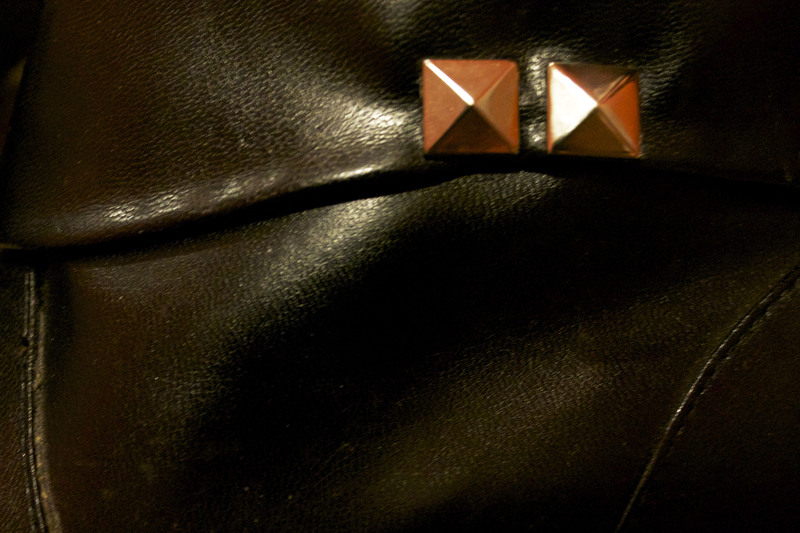 I went stud crazy. 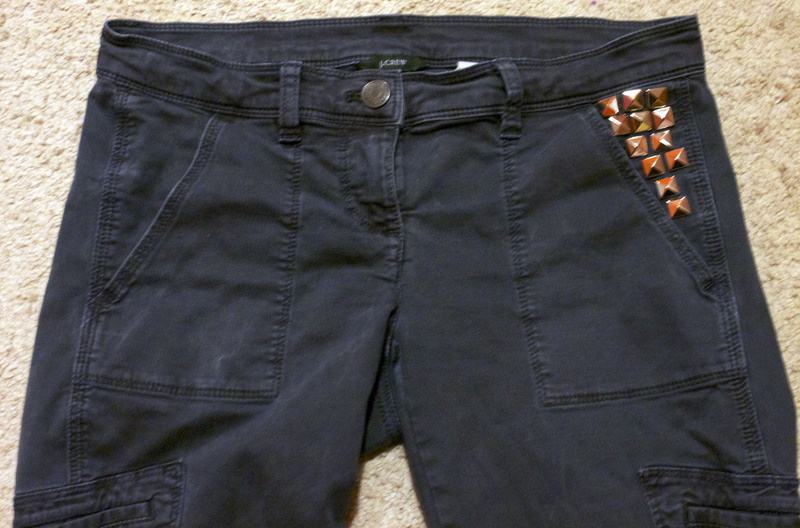 Pants, shoes, shorts…you name it, I put a stud on it. They’re easy to put on, you pin them – no need for glue or sewing. They’re cheap, any fabric store you can get 100 studs for $20. 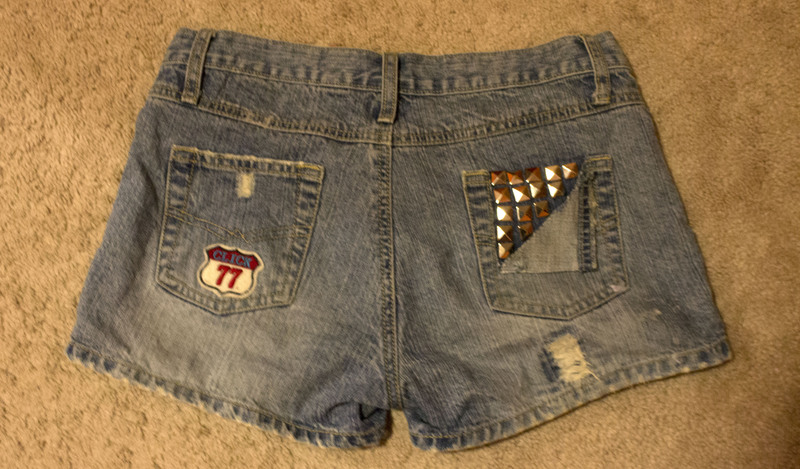 Compared to the $75 pair of studded shorts you can get at Urban Outfitters, it’s a pretty good deal. These are an old pair of J. Crew skinny’s! 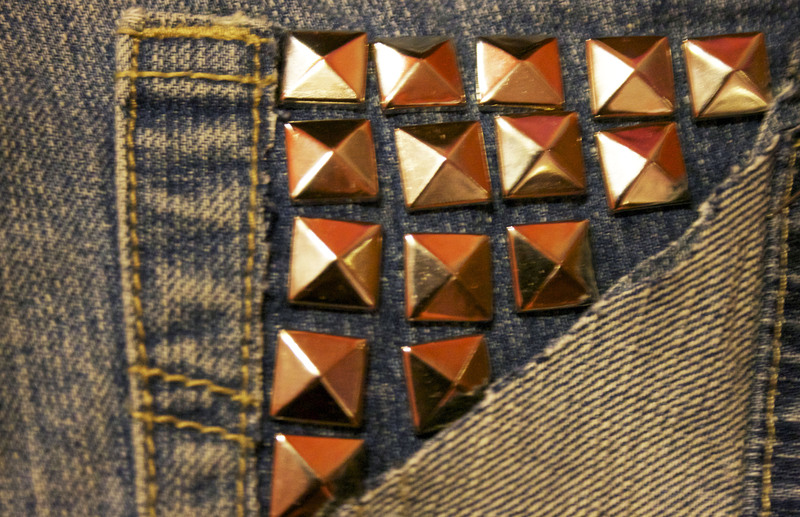 I put the studs right above the pocket to spruce up the look! 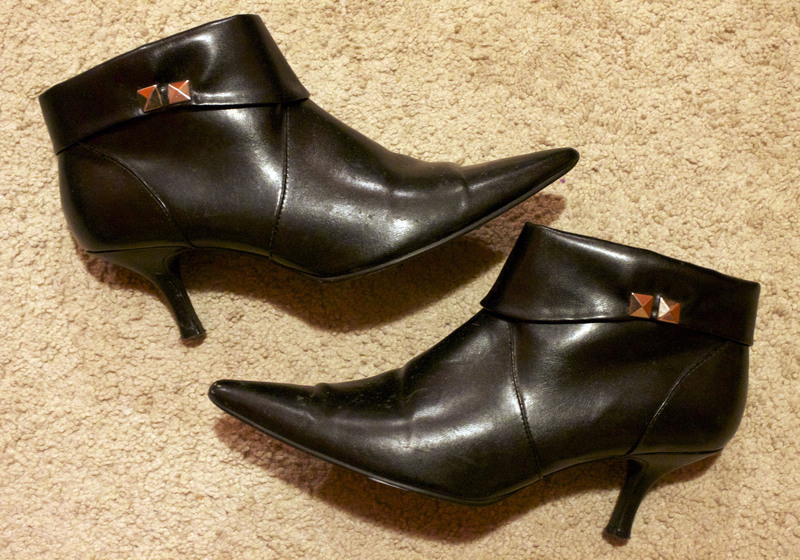 Put a couple of them on ankle booties, definitely a big change! No longer plain and drab! My favourite! Right on the back pocket! Side note, it doesn’t hurt when I sit. What do you guys think? A timeless fall trend if you ask me.